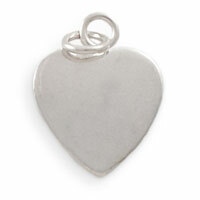 Craft your own beautiful metal jewelry starting with blank metal sheets. 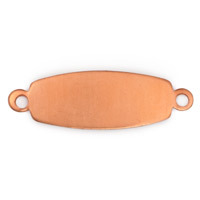 Metal Blanks for creating your own beautiful Jewelry can be found in this section, including Round, Oval, Square shapes and more in a variety of Metals, such as Copper, Brass, Nickel, and more! Shop our Metal Working Tools for hammers and solder to start creating metal jewelry. 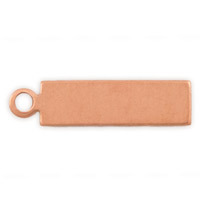 Copper Round 18 Gauge Blank 1/2"
Copper Round Blank 18 gauge 1"
Copper Round 18 Gauge Blank 1-1/2"
Copper Oval 24 Gauge Blank 3/4" x1/2"
Copper Oval 18 Gauge Blank 3/4" x 1/2"
Copper Square 24 Gauge Blank 1-1/16" x 1-1/16"
Copper Square 18 Gauge Blank 1" x 1"
Copper Rectangle 24 Gauge Blank 7/8" x 1/2"
Copper Heart 24 Gauge Blank 1-1/2" x 1"
Copper Heart 24 Gauge Blank 1-3/4" x 1-1/4"
Copper Large Heart 24 Gauge Blank 1 3/8" x 1 1/2"
Copper Oval 24 Gauge Blank 1" x 5/16"
Copper Rectangle Blank with Ring, 24 ga, 11/16" x 3/16"
Nickel Silver Round 24 Gauge Blank 5/8"
Nickel Silver Round 24 Gauge Blank 3/4"
Nickel Silver Round 24 Gauge Blank 7/8"
Nickel Silver Oval 24 Gauge Blank 1" x 3/4"
Nickel Silver Oval 24 Gauge Blank 1-1/8" x 5/8"
Nickel Silver 24 Gauge Square 1-1/8" x 1-1/8"
Nickel Silver Rectangle 24 Gauge Blank 1/2" x 7/8"
Nickel Silver Large Heart 24 Gauge Blank 1 3/8" x 1 1/2"
Nickel Silver Connecting Oval with 2 Rings 24 Gauge Blank 1" x 5/16"
Brass Round 24 Gauge Blank 1/2"
Brass Round 24 Gauge Blank 3/4"
Brass Round 24 Gauge Blank 1"
Brass Oval 24 Gauge Blank 3/4" x 1/2"
Brass Oval 24 Gauge Blank 1" x 3/4"
Brass Square 24 Gauge Blank 3/4" x 3/4"
Brass Square 24 Gauge Blank 1-1/16" x 1-1/16"
Brass Heart 24 Gauge Blank 1-1/2" x 1"
Brass Large Heart 24 Gauge Blank 1 3/8" x 1 1/2"
Brass Connecting Oval with 2 Rings 24 Gauge Blank 1" x 5/16"